Mr. Prather's 2nd grade class studied the Lewis and Clark Expedition, which was the first American expedition to cross what is now the western portion of the United States. It began near St. Louis, made its way westward on the Missouri River, then passing through the continental divide to reach the Pacific coast. The expedition stopped in August of 1804, what is known today as Macy, NE to visit the grave site of the great Chief Blackbird who had died four years earlier. A Macy native, Private Pierre Cruzatte was part of the expedition and was born half French and Omaha Indian. Pierre could speak the Omaha language and was skilled in sign language, so was of valuable assistance to the captains at the Indian councils and encounters with the tribes on the lower Missouri. 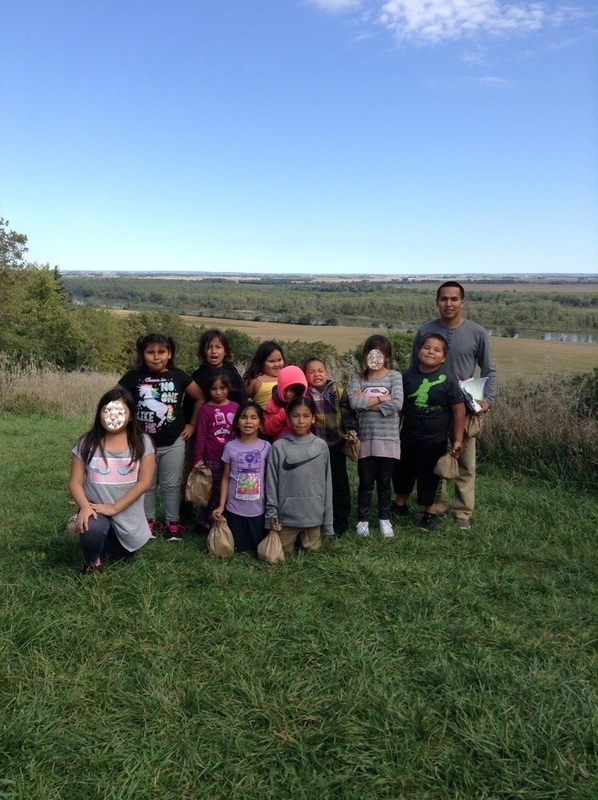 The class first studied the expedition and then went to the site where Lewis and Clark camped while they visited the great Chief Blackbird burial ground.